Due to some scheduling changes, we have a great race weekend coming up. 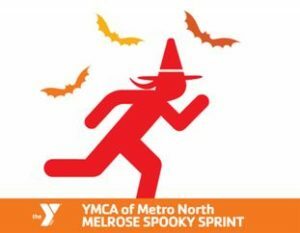 On Saturday we have The Melrose YMCA Spooky Sprint at 8:30. Registration is $30 for adults and $15 for 17 years and under. This is a big costume race and the kids really love it. Rain is in the forecast so you may want to come dressed as an alligator or a trash bag! I don’t think it will be as bad as Marathon Monday, but dress the kiddos appropriately. There is race day registration and on Friday, October 26th from 2pm-7pm there is bib pickup and registration at the Melrose YMCA. Wear your purple or at least a club hat. Let’s see how big of a group photo we can get. 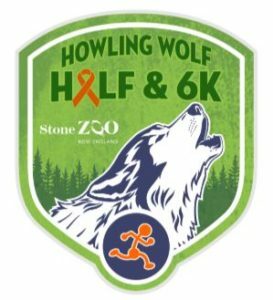 On Sunday, October 28th at 8:00 AM we have The Howling Wolf Half and 6K at the Stone Zoo. Registration is still open and they need more volunteers. The Half is $85 and the 6K is $35. Volunteers get two beer tickets and admission to the after race party. Volunteers also get a free winter running hat and free race entry to Miss Santa 5K on the Esplanade Dec 8th!! All of that in addition to that warm feeling in your heart from being a volunteer. All proceeds benefit The Stone Zoo and your race registration includes FREE admission to the zoo! Team Melrose Running Club has 31 people signed up including a few volunteers! Way to go! We definitely need a team photo so wear your purple! This may be our largest race group so far this year. Maybe the Spooky Sprint will have a larger group? Run both races and find out. Send me an email or DM with any questions. This entry was posted on Wednesday, October 24th, 2018 at 11:59 pm	and is filed under Club Races. You can follow any responses to this entry through the RSS 2.0 feed. You can leave a response, or trackback from your own site.